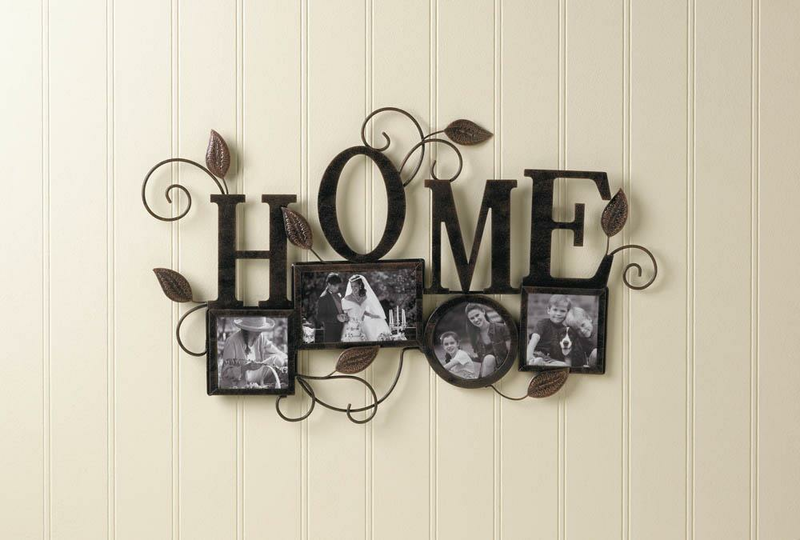 Home is where the heart is and where you can show off the photos that fill your heart with love! 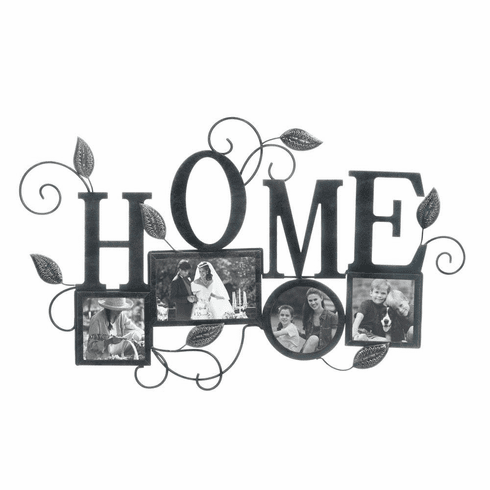 This beautiful iron wall decor has four photo frames of varying sizes and shapes that are ready to be filled with your favorite photo memories. Above the frames is the word "HOME" and decorative scrolling vines and leaves. Weight 2.2 pounds. 24" x 0.25" x 14.5". Iron, Glass. UPC Number: 849179029562.